Medical Issues: This includes decisions whether the child is to be hospitalised, whether a non-emergency surgical procedure is to be performed on the child. Education: This involves issues such as the choice of school, choice of enrichment classes, choice of course in school, choice of subjects, whether the child is to attend a particular school trip or outing, or tuition. Religion. This involves the religious instruction of the child, attendance at religious places of worship, undergoing religious ceremonies, etc. Sole custody order: The custodial parent may make major decisions for the child without the agreement of the other parent. However, acrimony alone will not justify a sole custody order. Ultimately, the type of custody the courts will order is one that is based on the factual matrix of the case. Joint custody order:Both parents must make major decisions for the child jointly. This means that they must agree on the decisions that are made. In the absence of agreement, regretfully, either parent will have to apply to court for a determination of the disputed issues. A joint custody order is the most common order that courts make so as to promote the idea of joint parental responsibility. This encourages the parent who does not live with the child to continue with his responsibilities to the child as his or her parent. Hybrid order: This is a sole custody order but includes an order that the custodial parent must consult (or even obtain the consent of) the non-custodial parent when making decisions on specified matters, for example, choice of school, choice of course in school and so on. Split custody order: This is when the custody of one or more siblings is granted to one parent and the custody of the other siblings is granted to the other parent. As a general rule, siblings should be under the care of the same parent. If a split custody order is sought, then the parents must file affidavits in support of such a split custody order and explain how this would be in the best interests of the children. Based on first principles, in every case where custody in contention, the welfare of the child is the paramount consideration when courts determine what type of custody order to grant. In a situation where the Court finally decides to award your spouse sole custody, you should not be disheartened. On a case-by-case basis, if you live abroad, your child may still be allowed to visit you abroad. You may even take your child on a holiday overseas. The rule is that where your spouse has been granted sole custody over your child, then you cannot take your child out of Singapore unless your spouse has given consent or if you apply to the Court for a grant of leave to do so (section 131(1), Women’s Charter). It is important that you observe this rule as contravention of the rule would result in liability to a fine or imprisonment for a term not exceeding 12 months or to both. However, you may wish to note that you may request for the Court’s order of granting custody to your spouse to be made subject to specific conditions that the court deems fit to impose in your favour. This is provided for by rules under the Women’s Charter allowing you to take your child overseas if you are living abroad or to go on holiday. Courts may impose a condition to allow the child to be temporarily in your care and control for some periods of time although your wife is granted custody. Your child may visit you at such times and for such period as the court may consider reasonable. You may have access to your child at such times and for such frequency as the court may consider reasonable. Your spouse may be prohibited from taking your child out of Singapore. Again, whether these rules can be applied in your favour would depend on the court’s discretion and turn on the specific circumstances of your case. Custody is different from the issue of care and control. Care and control means with which parent the child lives with on a day-to-day basis. The parent who is awarded care and control has the authority to make decisions relating to the day-to-day activities of the child (e.g. with regard to meal times and bed times). 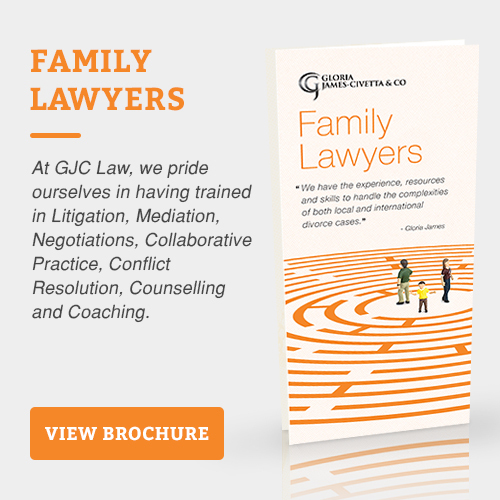 Like custody, care and control may also be held jointly or solely. There is also a situation in which care and control of children is split, in much the same way as there is a split custody order, i.e. when the siblings live with different parents. However, as mentioned earlier, a split order for care and control is rare as the general rule is that siblings should be under the care of the same parent. This is unless parents are able to satisfy the courts that a split order for care and control would be in the best interests of the children. Do note that where the courts have awarded one parent care and control and that parent has attempted to deliberately alienate the child from the other parent, undermining their relationship, the courts may reverse the care and control order. 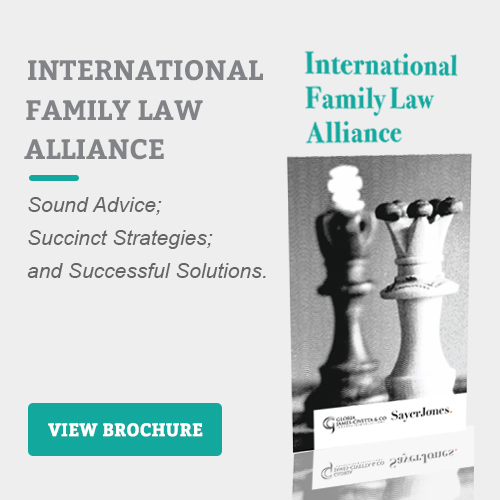 This remedy would be most suitable in a situation in which the child begins to show animosity towards a parent with whom he previously had a loving relationship. Ultimately, like custody, in making an order for care and control, the paramount consideration is also the welfare of the child. The non-custodial parent who does not have care and control of the child will usually have access to the child. The starting point is a presumption that such access would be beneficial for the child. The issue is then the quantum of access. The non-custodial parent’s previous contact with the child. The history of the relationship between the child and the non-custodial parent. Weekday access: This is usually mid-week for a few hours and would usually be subject to the child’s school schedule or other activities, e.g. tuition. Weekend access: This may include overnight access and would also have to take in to account the child’s school schedule and other activities. Other school holidays: These are days in which the children do not need to attend school and which are not gazetted public holidays, for example Children’s Day, Teachers’ Day, Youth Day and PSLE marking days. Access for the purpose of attending a relative’s funeral or a wedding etc. Access orders are generally unsupervised i.e. the non-custodial parent will be able to spend time on his own with the child without any third party monitoring the access. In the event of a divorce, you may desire to take your child back to your home country. However, the relocation may deprive your child of time spent with his or her other parent due to the inconvenience in scheduling time for access. Thus, if you wish to relocate with your child abroad, you have to seek the other parent’s consent or make an application to the court for such relocation. In deciding whether or not to grant an application of relocation, the court also only has one paramount consideration: the welfare of the child. The court will reject such an application if it can be shown that relocation will not be in the best interests of the child. As evidenced above, the welfare of the child is the paramount consideration when courts make orders concerning a child. The starting position that siblings should not be separated. To find out more with regard to the above, you may wish to seek legal advice from a Singapore Expat Divorce lawyer from Gloria James-Civetta & Co.
At Gloria James-Civetta & Co, we offer a free 20-minute consultation with one of our matrimonial lawyers. Should you have any queries or should like to seek legal representation, kindly contact us at 6337 0469 or email us at consult@gjclaw.com.sg.